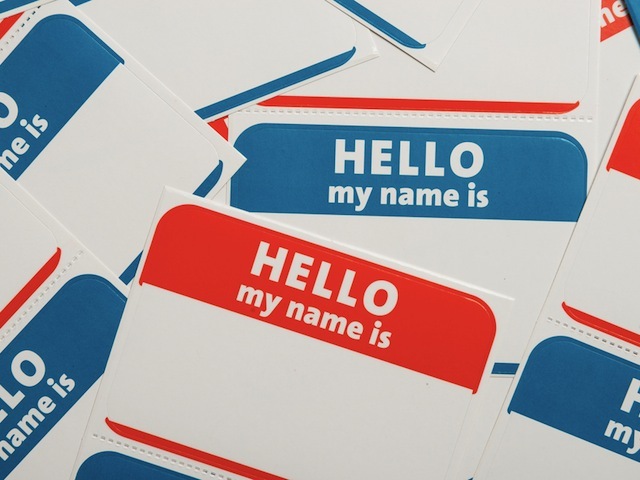 What’s in a Name on Social? Even if you have the best brand and a perfectly curated social profile, potential customers and connections will judge you by your name—so make it good. Here’s a question: Whether you’re thinking about a Facebook URL, a Twitter handle, or your business’s domain name—should it be a descriptor of what you do, or are you better off with some truncated, not-yet-used, version of your name? Sometimes, you have to get creative. If you were the first John Smith on the Internet, hats off to you for taking the full handle and various domain names. If you’re the thousandth, creativity is your only choice! Like most things in the digital world it comes down to two things. First, will it help you when it comes to search? Second, and just as important, does it fit with your brand? When it comes to vanity domains, Google has long denied that they affect search rankings. Their in-house tech team advised way back that registering a vanity domain for the sheer, hopeful sake of page rankings would be a fool’s errand. But there’s a solid number of marketers that disagree, and they watch these things very closely. Chalk it up to wishful thinking, if you like, but time will tell. And there are only so many .com domains available. There’s also something to be said for registering a top level domain like .tv, for sites obviously about television, or even the long-used .org for organizations. As for the question of brand fit… A domain name that matches your company’s name with a .com can exude trust or professionalism to some users. But vanity domains have their appeal, too—they say you know who you are, and you’re different. Sometimes literally. For example, Rightside shares the story of a pub in England that registered their domain with a .pub. The name of the pub is “The Doctor’s Orders,” and they felt the name had “some connotations that could be construed as inappropriate for a purveyor of alcohol” if they went with .com. So in the legal sense, it was a smart move to go with the unusual domain – and it wasn’t a bad move for overall clarity and brand awareness as well! The founders of this .pub establishment are digitally savvy and claim to have landed in top search results in local searches because of their domain. But is it because of the .pub or the relevance to the target audience? And are those two things different? Either way, the drinkhere.pub is simpler (and easier to obtain, no doubt) than a drinkherepub.com—and a solid benchmark to keep in mind is always KISS—keep it simple, stupid. Particularly if folks are drinking. Recall of your page is the most important thing, after all. Even Facebook recommends its vanity URLs be easy to give away at a networking event or fit into your email signature. Who needs a 75-character link when it could just be your company’s name? If using your name is impossible without adding three underscores and a numeral, it’s time to think of something else. Something simple. And this is where vanity URLs can give your name new life.